Over four decades of know-how and uncompromising strive for innovation culminated to produce the all-new Solan. Being a market leader doesn’t entail producing the most expensive speaker. 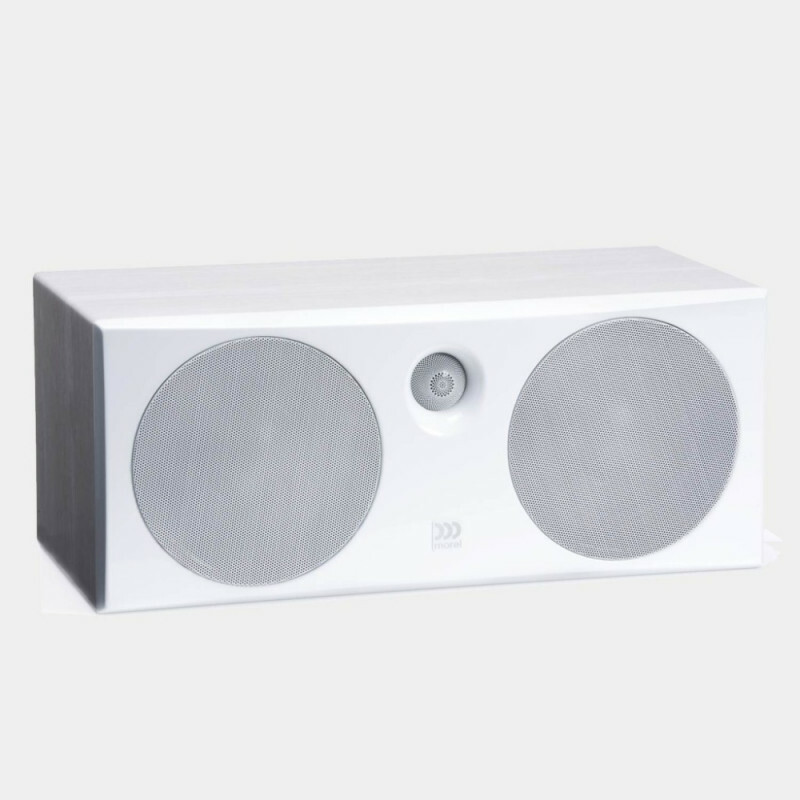 To the contrary, it is the ability to rise to the challenge and produce speakers that adhere to the company’s philosophy and quality at modest prices so a broader segment of music lovers can enjoy high quality music in their home. The Solan is the entrance to the world of Morel, and its versatile concept, consisting of floorstanding, bookshelf, centre channel and an active subwoofer, allows it to be used in both 2-channel and home theatre systems. 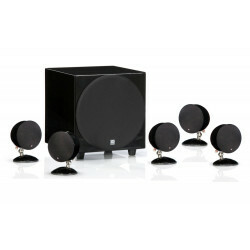 The Solan 5.1 home theatre fulfills the primary objective of recreating the electric atmosphere generated at a concert as well as accurately reproducing the sound of live unamplified instruments and voices. Superior craftsmanship, innovative technology and refined design elements; such as the front glossy finish front baffle, brushed aluminum base plate and Morel’s innovative Lotus grille*, set it apart from other products in this price category. 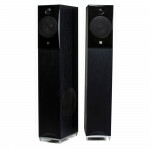 Many attributes and technologies were borrowed from Morel’s reference loudspeaker, the fat lady. Using this as a foundation allowed our engineers to take the Solan series to unprecedented performance levels. The Solan uses an undamped vented cabinet that is allowed to vibrate in a highly controlled manner so that it is in sync with the output of the drive units. This energy is used as part of the reproduced sound, much like we experience with a violin, as the sound is a union of both its body and the strings. In the middle of the Solan cabinet a vertical baffle with acoustic apertures designed to break up standing waves, crucial to achieve natural sound. The new In-line bass reflex port technology is deployed at the rear of the bass/mid unit to achieve a tight and articulate bass reproduction as well as a realistic sound and presence to the midrange. 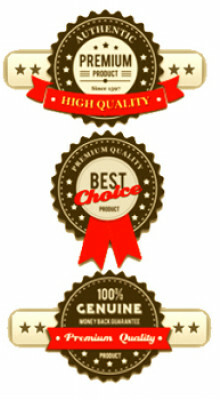 The Solan series is sure to stir emotions for its style, quality performance, and value. 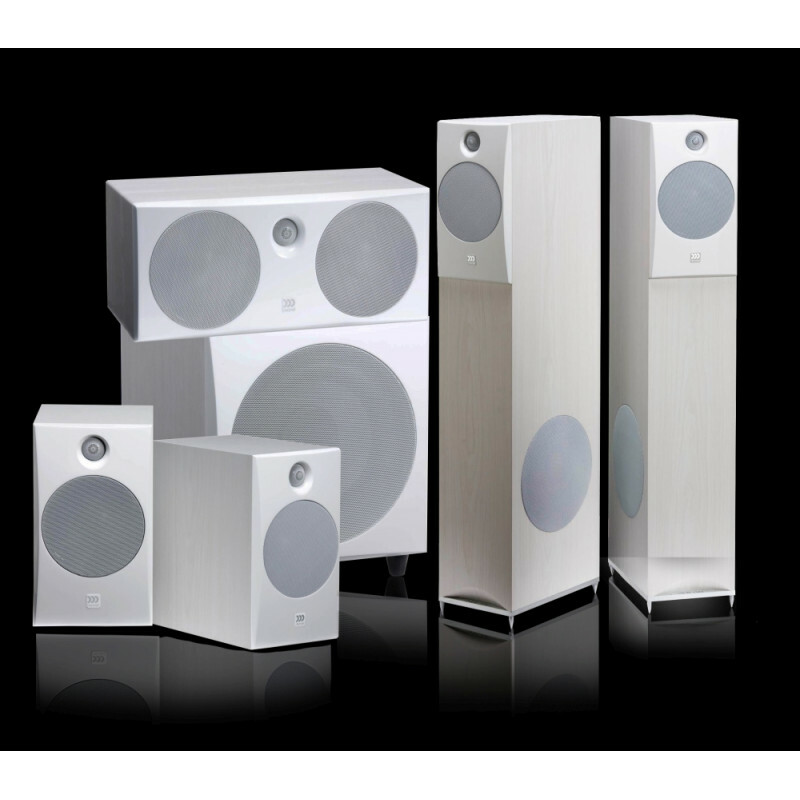 The Solan floor-standing uses (as in all Solan series speakers) an un-damped vented cabinet that is allowed to vibrate in a highly controlled manner so that it is in sync with the output of the drive units. This energy is used as part of the reproduced sound. The total output is taken into consideration in the crossover design, with the result of the speaker sounding completely transparent. A vertical baffle is located in the middle of the cabinet with an acoustical aperture designed to break up standing waves—a crucial element in achieving natural sound. The rear facing bass reflex port was designed to be directly in-line with the rear of the bass/mid unit to reproduce tighter, more articulate bass, but also provide a more realistic sound and presence to the midrange. 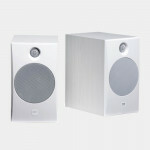 · A 1-inch (25mm) soft dome tweeter fitted with a neodymium magnet system. This driver’s smooth frequency response and lack of high "Q" (sharp) out of band resonances provides a very natural response to the high end. Protected by Morel’s Lotus grille. · The midrange unit is a 5-inch (130mm) driver equipped with a large ferrite magnet driving a lightweight composite paper cone. 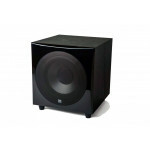 · The bass is handled by a 6-inch (150mm) driver that utilizes a large ferrite magnet and a composite paper cone. 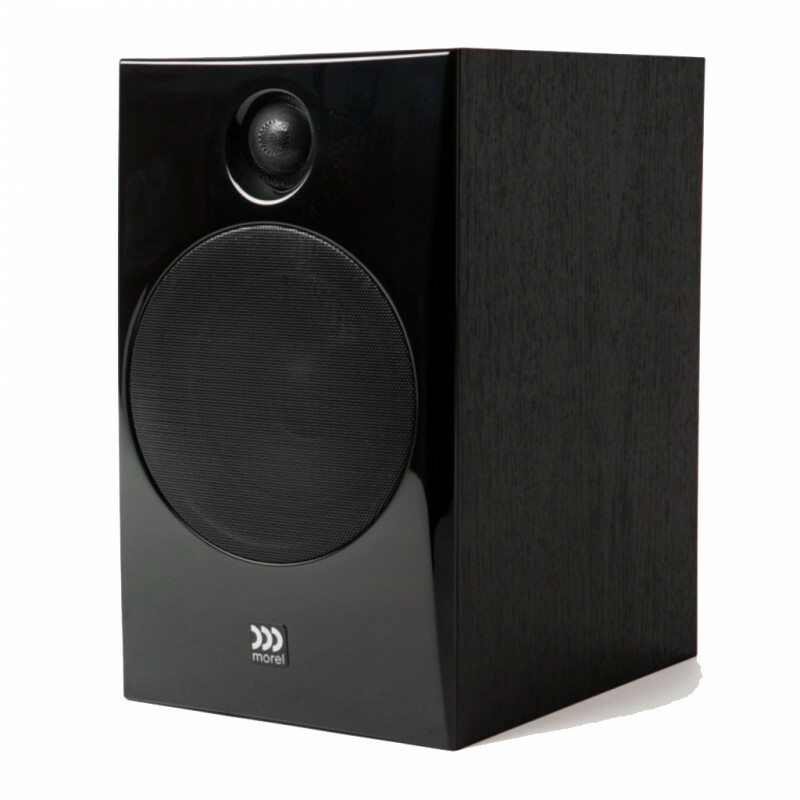 This driver is optimized for low frequency reproduction with exceptional response range considering its size. 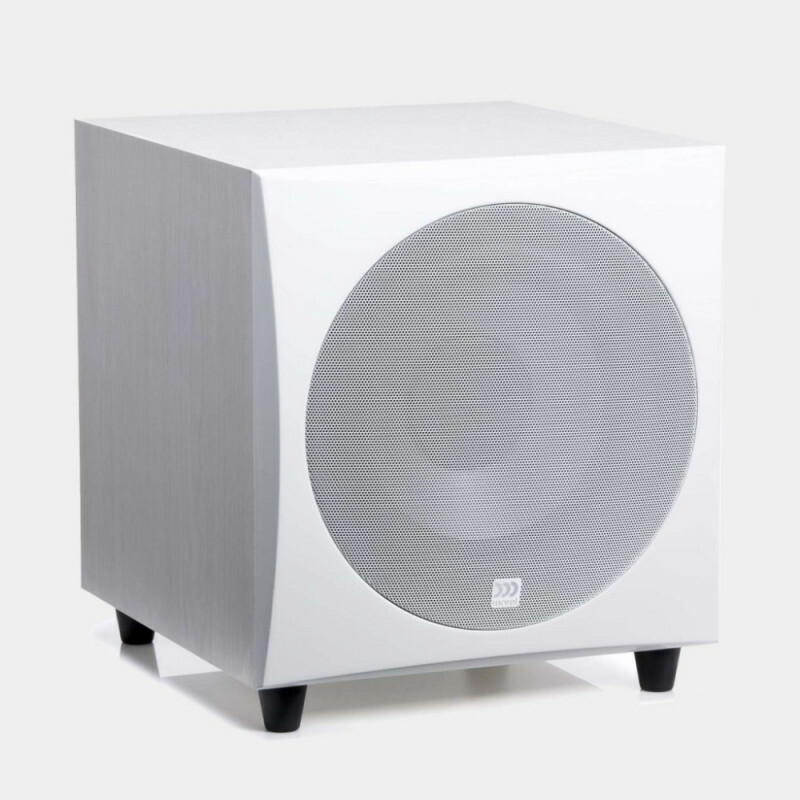 · The crossover technologies are borrowed from the reference speaker – fat lady – represented by having all the drive units maintain a positive phase, providing a unified sound while using multiple drivers, as well as preserving sound stage even when sitting off-axis. Finally, eliminating resistors in the signal path allows for the highest resolution so all the important dynamics and drama of the original sound play through. 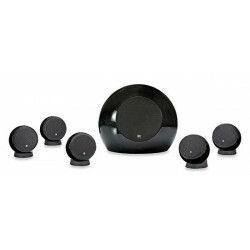 The Solan Centre full range speaker consists of two bass/mid 5-inch (130mm) rear vented drive units operated by ferrite magnet systems for enhanced and deeper bass. Both drivers are comprised of lightweight composite paper cone. 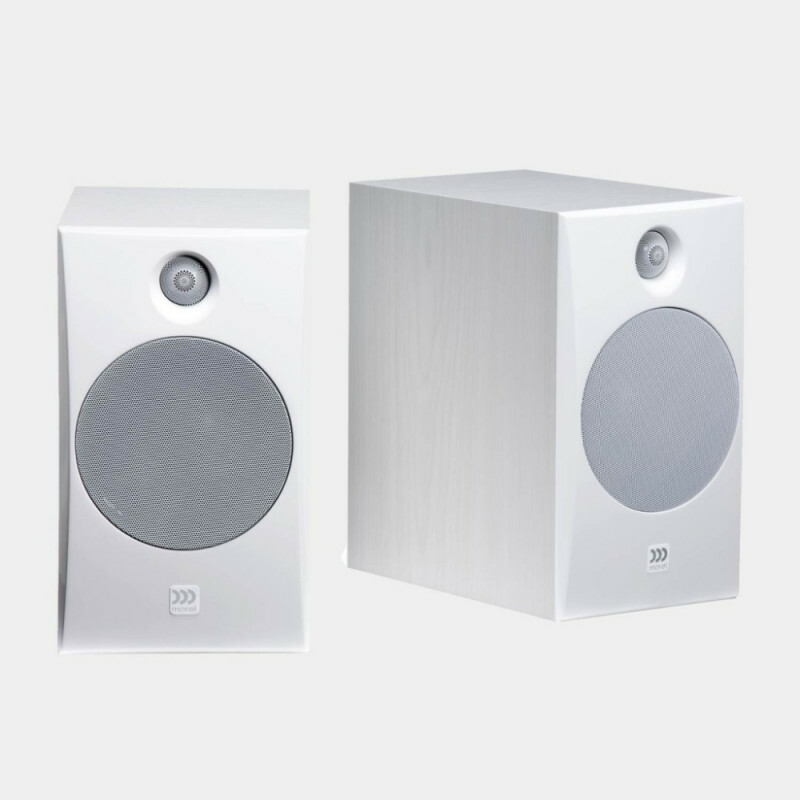 The 1-inch (25 mm) soft dome tweeter is fitted with a powerful neodymium magnet motor providing Morel signature sound with a very natural response. 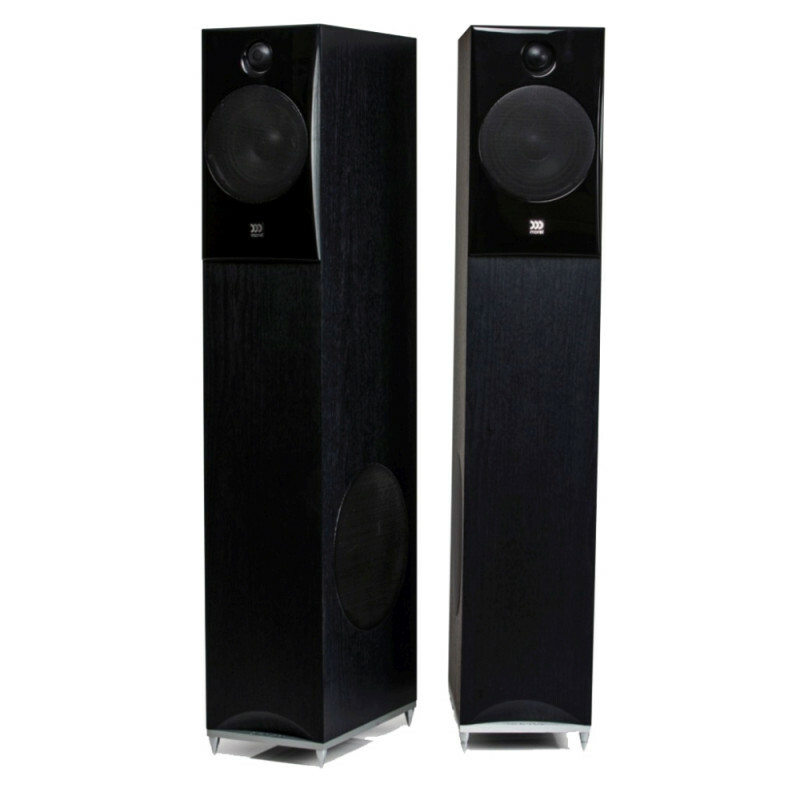 The Solan Centre integrates perfectly with the Solan series driver units possessing the same sound characteristics as the Solan Bookshelf and Floor-standing speakers. 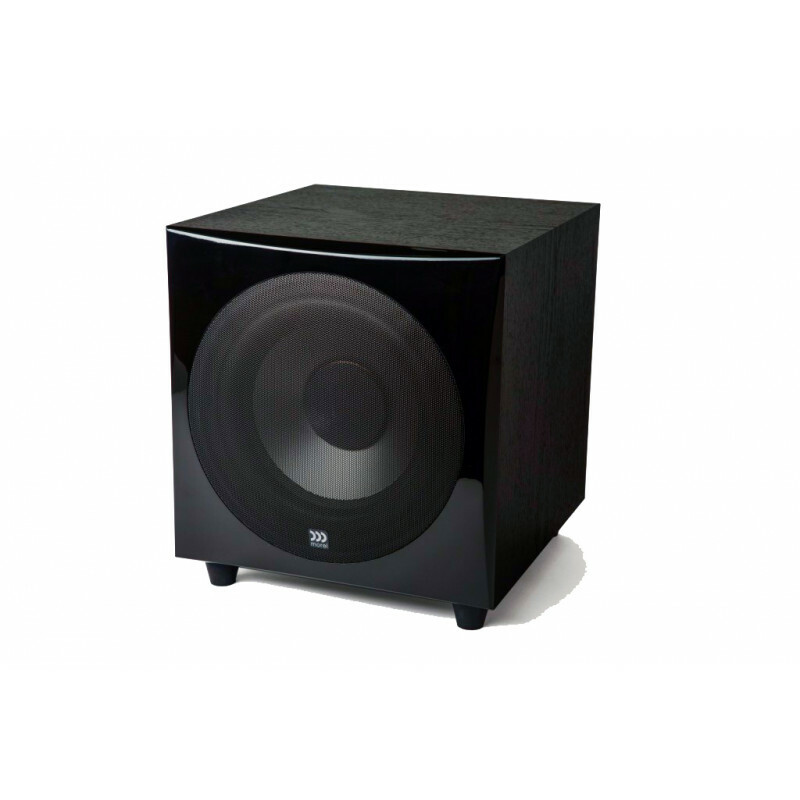 It delivers a wide dispersion, a more powerful bass impact and higher power handling for a more stable soundstage, particularly when listening off-axis. At the heart of the Solan bookshelf is a 1-inch (25mm) soft dome tweeter fitted with a neodymium magnet system with the Lotus grille to protect the tweeter. This driver’s smooth frequency response and lack of high "Q" (sharp) out of band resonances provides a very natural response to the high end. The bass/mid driver consists of a 5-inch (130mm) driver equipped with a large ferrite magnet driving a lightweight composite paper cone. The Solan Bookshelf inherits elements of the reference fat lady crossover technologies represented by how all the drive units maintain a positive phase, which makes the filter network more difficult to design, but provides a highly unified sound while using multiple drivers. Optimizing the phase performance through the crossover regions also helps to preserve the sound stage even when sitting off-axis. Lastly, eliminating resistors in the signal path allows for the highest resolution so all the important dynamics and drama of the original sound play through. The Solan active subwoofer has the same design attributes as all Solan series, with a glossy piano finish front baffle, and like all Solan products, it uses an un-damped vented cabinet that is allowed to vibrate in a highly controlled manner so that it is in sync with the output of the drive unit. Fitted with a 10” bass unit driven by a 100W high power amplifier to enrich the bass tones it offers seamless acoustic integration for the Solan series. 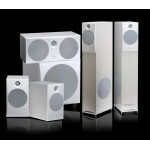 Amplifier 100W, continuous power, all formats compatible with automatic on/off switch, level, crossover, and phase controls.